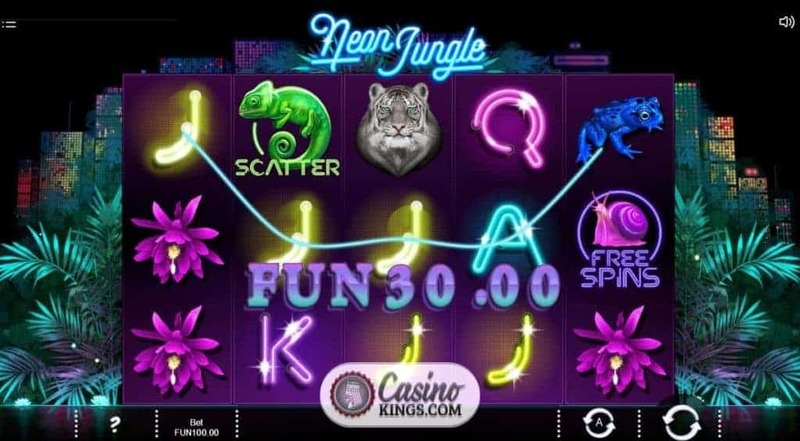 NYX Gaming Group slots developing powerhouse Iron dog Studio transports us to the Neon Jungle Slot with serious aplomb. The design is superb, the game-play exotic and the bonus features akin to the ingredients of an intoxicating cocktail. 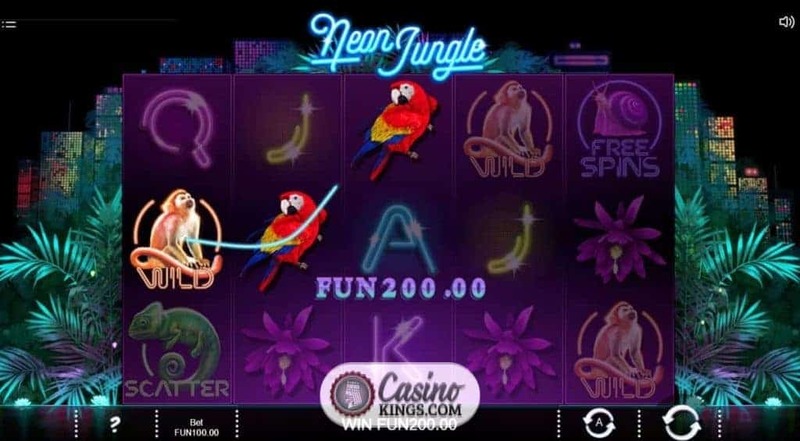 What more could an online slots fans ask for from a five reel, 20 pay-line neon jungle adventure? What looks like a South American metropolis stretches behind our jungle-set reels like a 24 hour party panther. Rio de Janeiro? Buenos Aires? The latin vibe is sincere and filters down to the soundtrack. 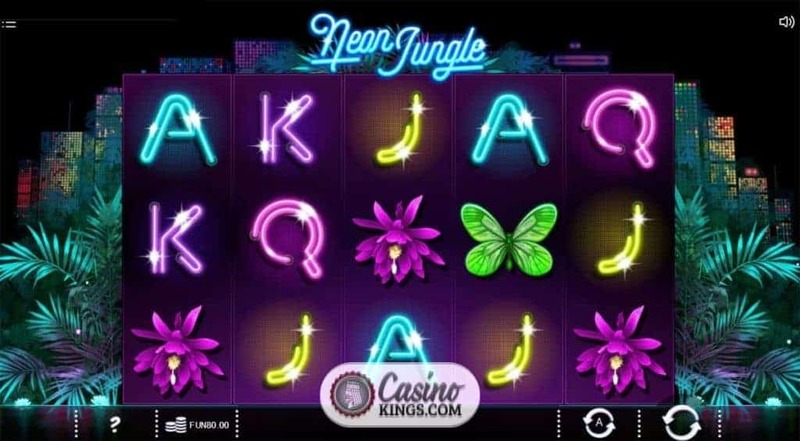 Iron Dog Studio has definitely cut an 80s vibe through this slot, with the neon Jacks through Aces offering a distinctly cult feel and a soundtrack that could be straight out of a vintage Schwarzenegger movie. It’s not a bad thing. In fact, quite the opposite, and serves to deliver a distinct atmosphere to the game-play. Our higher-paying symbols are nearly as neon as the lights. The Flower, Butterfly, Frog and Parrot are each brightly coloured, though the Tiger – our top-payer – is all grey with bright turquoise eyes. Other jungle beasts make up the remainder of the game’s symbols. 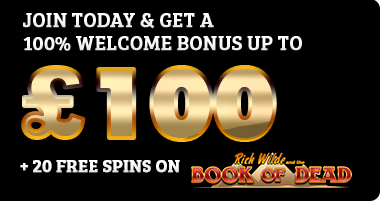 A Monkey acts as our Wild, we have a Chameleon Scatter, a Flamingo Bonus and a…err, Snail Free Spins symbol. At least Iron Dog studio isn’t limiting the wildlife symbols to just the glamourous animals. 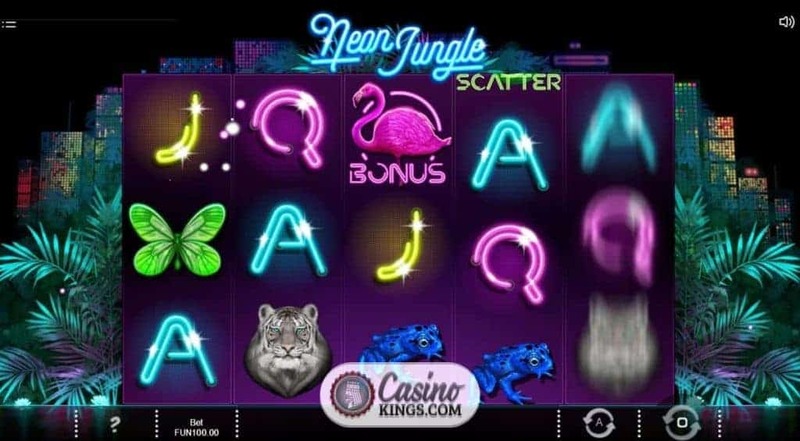 There are three distinct bonus features on offer in the Neon Jungle Slot, plus a fourth in the shape of a x4 win multiplier that boosts wins when a neon circle appears around one of our symbols across a winning combo. In fact, this neon illumination is the key to all our bonuses. 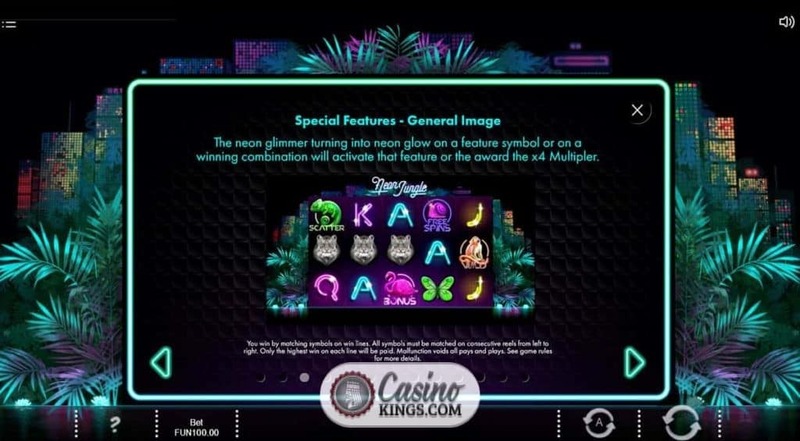 A neon glow appearing with any of the Scatter, Bonus or Free Spin symbols activates that symbol, rather than the need to land a number of them across our reels or on a winning pay-line. When we activate the Scatter Chameleon symbol we scoop a 250 coin win. 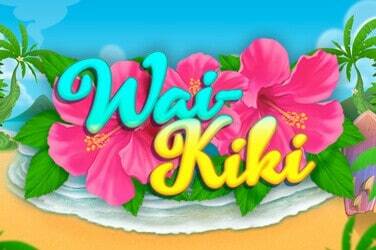 Our neon Free Spins Snail will award 6 free spins, though we needn’t panic – the spins don’t go at a snail’s pace. A neon glow around the neon pink Flamingo launches the Keno Light bonus round. Now, we must choose 10 out of 28 numbers (or we can opt to select them at random if we so wish). Depending on how many of our chosen numbers match the game’s random selection, depends on the win we take away. Either way, we can be sure there will be plenty of light. The Neon Jungle Slot is massive. It’s also exotic and brimming with adventurous possibilities. 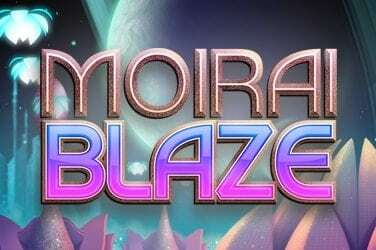 The soundtrack and game design alone are worth a few spins, while the sheer variety and win potential of the various bonus games is plenty to keep those with even the shortest of attention spans engaged. 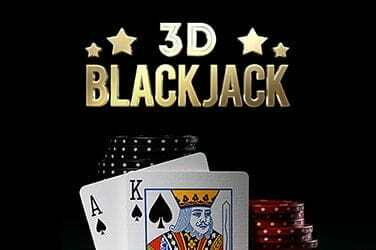 Another winning slot release from Iron Dog Studios.